In our source-to-settle software, AI is not just a buzzword. It’s the real deal. With multiple AI patents & more pending, we’ve been doing procurement like this for a while. Welcome to the future: a solution fueled by Xeebot. He obviously does the basics – spend analytics, automating tasks, and supplier management. 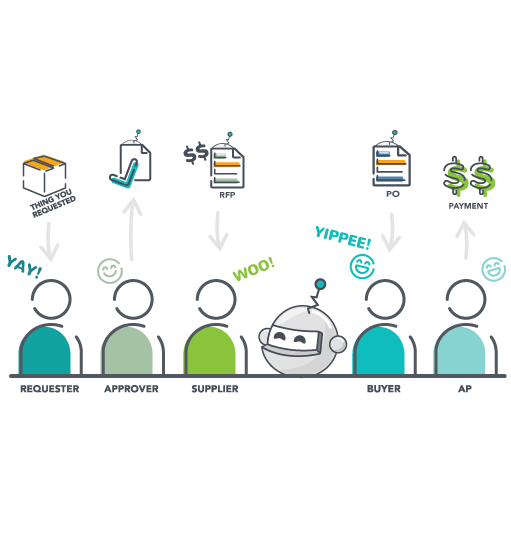 But he’ll also do the heavy lifting to classify & categorize your spend data down to the line level, create ways to save & eliminate overpayment, evaluate supplier bids to guide your buyers in real time, and get sustainable results from day one. What if you never had to question what’s in your data, make guesses about how much is being spent, or waste budget in unnecessary places? Now you can get a 360° view of your organization’s procurement and sourcing activities so you always have a handle on the transactions, processes, and analytics. Here’s how our full suite procurement software is divided into 4 solutions that work together to make your procurement simpler, more pleasant, and more productive. With our advanced AI, you’ll see things in your spend & procurement data that you’ve never seen before. Improve decision making with immediate insights into category analyses, supplier analyses, and more. 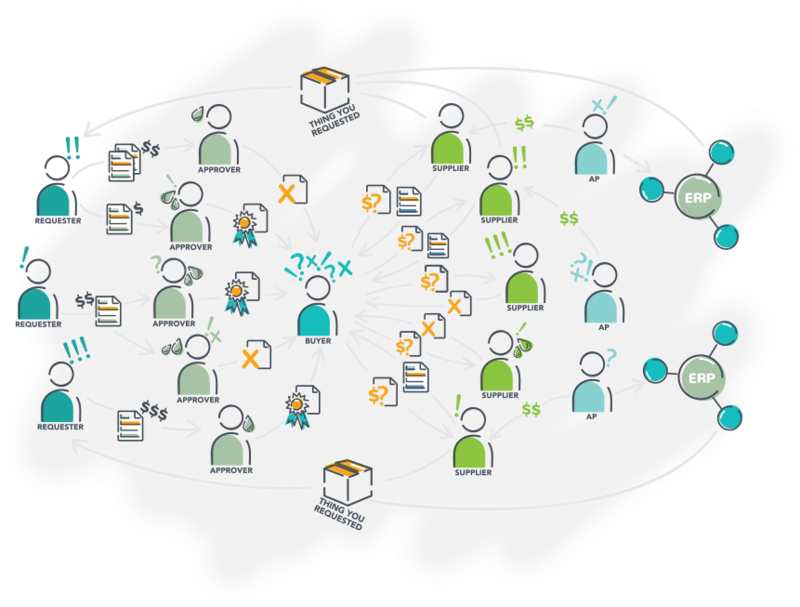 Utilize our patented tech to automatically uncover ways to save and empower collaboration, making sourcing easier & more efficient. You can validate opportunities, build your business cases, and run your sourcing events with ease, all in a single platform. Take advantage of our full procure-to-pay suite that drives savings, efficiency, and compliance with our AI-driven virtual buyer. Easily search the catalog, complete your checkout, and monitor processes to ensure your request arrives on time. Easily connect and manage events without calls or emails in our integrated platform. Suppliers can acknowledge & accept POs, update shipment tracking, and load invoices so requesters instantly know what’s going on. Blogs & infographics & whitepapers. Oh, my!